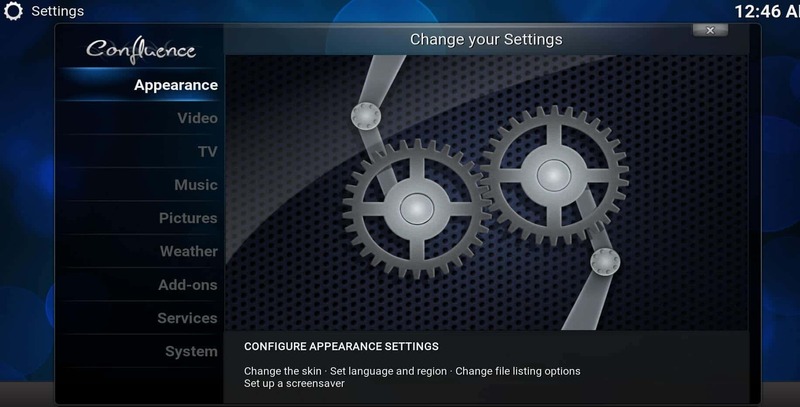 Welcome everybody to the Kodi Beginners Guide Part 4: Change Kodi skin! Can't believe we're at part 4 already. 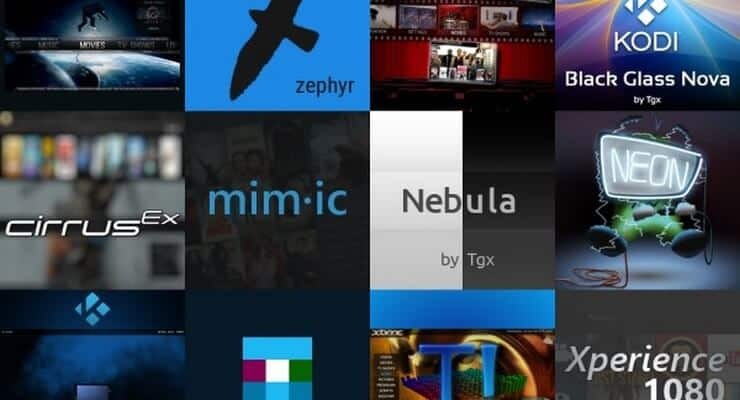 If you haven't read the others, we explained to you What is Kodi, then showed you How to use Kodi and provided an easy way to Add media sources to Kodi. 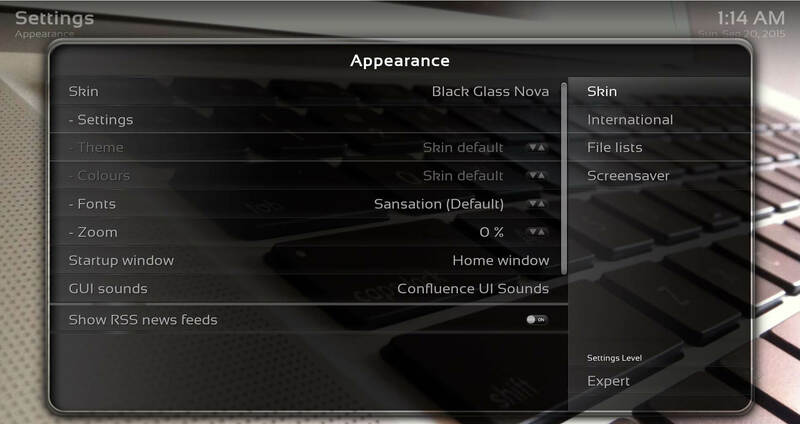 In this next part I'll explain how to change Kodi skins and change Kodi appearance entirely! Changing skins doesn't only mean getting a different look, but it can also provide different functionality. Let's dive in. The Default Skin from Kodi is Confluence and still stands firm among the great Kodi skins we have today. Aaah, the skins. Maybe the greatest and most well known add-on type of Kodi. We have to thank the Kodi community for providing us with a lot of great Kodi skins over the years. You wouldn't believe the amount of hours that they put into this work. 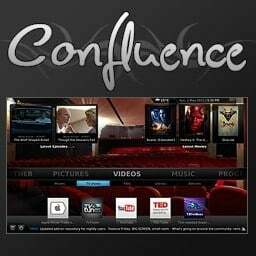 I already mentioned before that Confluence is the default skin from Kodi, and with good reason. It is still a great all-around skin for those who just need something that works and looks good enough. But maybe, you want try something that looks a little different (i.e. more fan-art oriented) or provide extra functionality like optimization for touch screens like re-Touched; which comes pre-installed with Kodi for Android by the way. And if that's not enough, you can try some of the best Kodi skins for Android tablets and smartphones. But I'm getting ahead of myself. Let me first walk you through on how to change Kodi appearance. Click on skin to select the other skin you want. Select the skin you want to try out or install a different one. There's a whole selection available to change Kodi skin into what you like. Conclusion: It's easy to change Kodi skin! So there you have it! I have my Black Glass Nova installed. But don't forget that this is just one example of a Kodi skin. There's a whole bunch of them just waiting for you to change Kodi skin into. And if you're having trouble choosing one, I've got you covered with the 6 best Kodi skins of 2015 to get you started. Or check out these great Raspberry Pi Kodi skins that are suited for a Raspberry Pi HTPC setup or these great Amazon Fire TV Kodi skins which will go great with a Amazon Fire TV for example. And with that I’m closing out this part 4 on how to change Kodi skin. Let me know in the comments which one’s your favorite skin and why? The next part will be all about customization of Kodi with other add-ons. What are they exactly, what can they do for you and are they all legal? Answers to all those questions are on their way. If there are other topics that you want to see as a part of the Kodi guide, let me know in the comments. My name is Raf Cole. I've been into computers, Movies, and TV as far as I can remember. Other interests are technology, Android, XBMC (Kodi), HTPC's and Tennis. Been working in Industrial Automation for 10 years in both discrete and DCS automation, currently as Proposal Specialist. Change windows time synchronization interval?